If you have a kid over the age of seven, you probably hear more about Fortnite than you want to. The massively popular online shooter where groups of 100 people are dropped into a cartoon-colored arena and forced to fight and build until only one player remains is the video game success story of 2018, boasting 125 million users and making developer Epic an estimated $300 million a month. Many of those players are kids, attracted by the game’s free price tag, cross-platform play, and quick action. 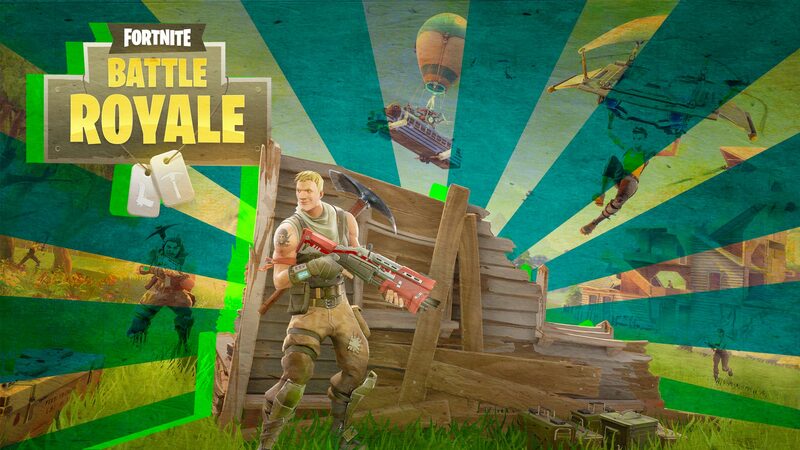 But in each game of Fortnite there can be only one winner – and some parents are helping their kids' chances by hiring dedicated video game coaches to polish their skills and get them that Victory Royale. Fortnite success is easy to understand because it’s a very binary condition: either you’re the 1 in 100 that lasts to the end and gets the Victory Royale or you aren’t. It’s very common in the schoolyard to hear players boasting about how many Royales they’ve racked up in their gaming career, and woe betide the young noob who’s never earned a single one. The longer the game stays as the current fad, the more new players will funnel in and the harder it will be to excel. Players who have been parachuting in to Tilted Towers for months are going to have an experience advantage over junior players. The feeling of being new to a game can be very frustrating, and it can be a slow grind to build skills, especially without anybody showing you the ropes. There’s nothing wrong with your kids wanting to be good at video games. A lot of their developing identity is built around competition and hierarchy, and gaming provides an arena for them to test each other’s mettle without any real-life consequences. The video game coaching industry isn’t a completely new concept. Throughout the 80s and 90s, magazines like Tips & Tricks featured strategy guides and hidden secrets for the top console and arcade games of the era. This is just an evolved, more personal version of that advice. Most coaches are professional or semi-professional gamers looking to make a little extra money, and charge between $15 and $35 for an hour-long session. Because Fortnite doesn’t have a robust professional competitive scene yet compared to games like League of Legends or Overwatch, it’s one of the only reliable ways for up and coming pros to earn money while playing. Coaches help their clients in a variety of ways. They certainly give advice on the mechanical aspects of the game – how to move and aim most effectively, for example – but a bigger part of coaching is observing their reactions and instincts in the game and helping them attain a successful mindset. Fortnite’s recently-added Playground mode is the typical environment coaches start in. In Playground, players are capped at four, and the storm doesn’t start encroaching on the play area for 55 minutes, and then you have five more to wrap up. In addition, if you’re killed in Playground you can immediately respond instead of going back to the bus for another game. That makes it a comfortable sandbox where you won’t be hassled by unwanted attention and can focus on individual skills. I talked to a group of young Fortnite players ranging in age from 11 to 16 about coaching. Some of them had heard of it from ads on social media, but none knew anybody who had hired one. That’s not terribly surprising – these kids were casual players and all fairly decent at the game already. When I asked if they would ever get Fortnite coaching, none of them said they would. But if it was guaranteed that they’d get more Victory Royales (each of them had at least one to their name), they started to get tempted. While winning isn’t everything, it still has a lot of allure for kids. Should you balk at hiring a video game coach for your kid if they really want it? Probably not. We happily shell out cash for plenty of skills our kids will probably never use in their adult life, like martial arts or music lessons. In the long run, they probably won’t be a pro gamer, but if a few sessions will help them feel more capable when they play with their friends, that’s not a bad thing. There are two ways to find a coach. Online job marketplaces like Fiverr have listings for video game coaches, but the quality control on there isn’t high – while some of the coaches there have multiple reviews, the vast majority have one or none. A better choice might be to contract with a service like Gamer Sensei, a Boston-based startup that offers assistance in over a dozen titles as well as custom apps to train outside of the game. Of course, there’s always the very 2018 dream of parlaying success into a professional esports career and playing Fortnite for a living. Epic Games has announced that it's paying out $100 million in prizes for Fortnite tournaments over the next year, and although your kid's chances of making it to that level are probably pretty slim, that’s an attractive carrot to dangle in front of a kid’s head. But being a pro gamer isn’t any more of a pipe dream than being a pro basketball player, or a rapper, or any other fantasy occupation. Although it may seem absurd, video game coaching can serve as a mentoring relationship for kids. Having a non-family adult pay attention to them in an area they’re personally interested in and help them improve themselves is valuable for their self-worth. Coaching can also help kids appreciate and understand their game as more than just a temporary shot of dopamine and adrenaline, but as a system of rules created by designers that can be explored and exploited. Having that kind of conscious awareness is a skill that can be transferred to other critical thinking opportunities. If your child has anxiety about their gaming performance, or wants to demonstrate a deeper level of commitment to the hobby, there’s nothing wrong with getting them a coach – or, even better, allowing them to spend their own money on one. As long as you continue to set clearly defined boundaries for appropriate amounts of gaming time, making it one part of a well-balanced life, why shouldn’t they get a little help to be the best player they can be?